According to Russian Defense Ministry, Submarines of Russia's Northern and Pacific fleets have launched ballistic missiles from the Barents and Okhotsk seas as part of a routine drill. 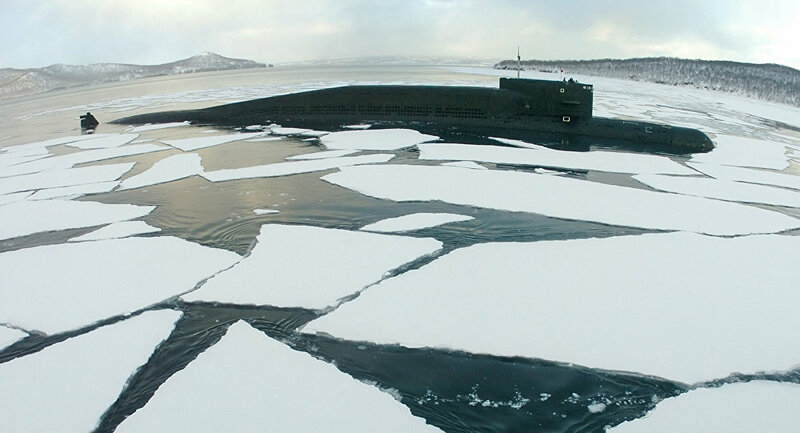 MOSCOW (Sputnik) – Submarines of Russia's Northern and Pacific fleets have launched ballistic missiles from the Barents and Okhotsk seas as part of a routine drill, the Russian Defense Ministry said Friday. "Strategic underwater missile cruisers Bryansk of the Northern Fleet and Podolsk of the Pacific Fleet launched ballistic missiles from territories in the Barents and Okhotsk seas," the ministry's press service said in a statement.